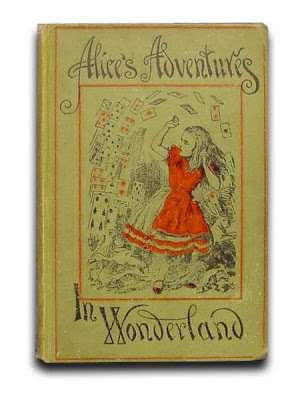 Ever since Lewis Carroll’s Alice in Wonderland debuted in 1865, with John Tenniel’s famous illustrations of its title character as a pinafore-wearing, Victorian tween, both the story and the images that accompanied it have become iconic. 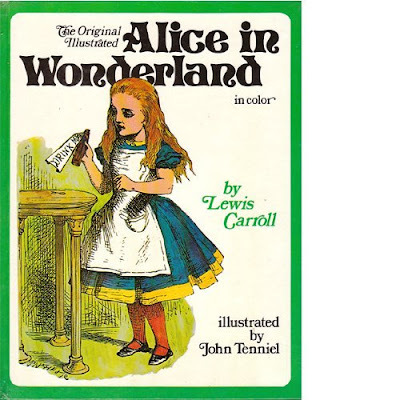 Although Alice is commonly considered children’s literature, it bears re-reading at any age. 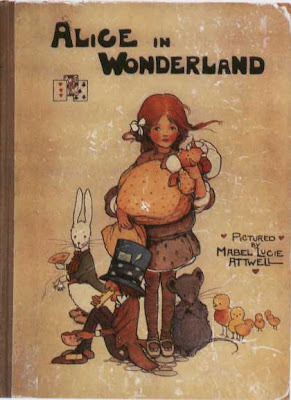 So, to celebrate the 178th anniversary of Lewis Carroll’s birth, we’re taking a look back at over 100 years of Alice in Wonderland covers. (And believe us, there were a lot to choose from.) Fall down the rabbit hole of history after the jump. This Alice almost looks she could be asleep and dreaming, in a nightgown. Can’t you just see a ’50s schoolchild carrying this one? Ah, the ’60s. Yes, burnouts — this is Ralph Steadman, the guy who illustrated Hunter S. Thompson’s books. 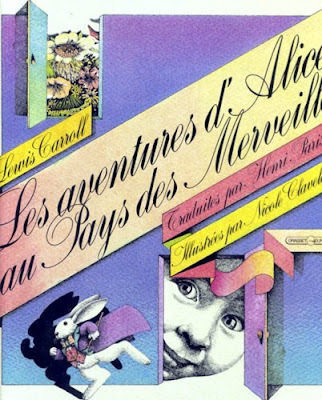 A surreal take on Alice, en français, by Nicole Claveloux. 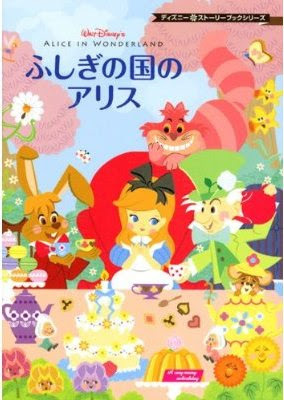 Considering it was the mid-’80s, it’s not particularly surprising to see this brightly colored, practically New Wave take on John Tenniel’s original illustrations. Even if there weren’t any text on the cover, it would be pretty clear that this was the Japanese version, right? 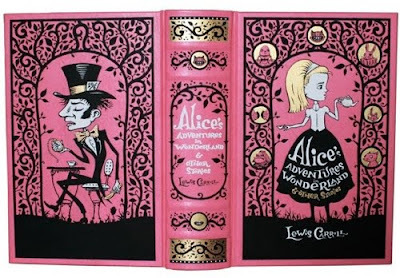 Hugh D’Andrade’s pink, leather-bound Alice is a little bit Victoriana, a little bit rock ‘n roll. 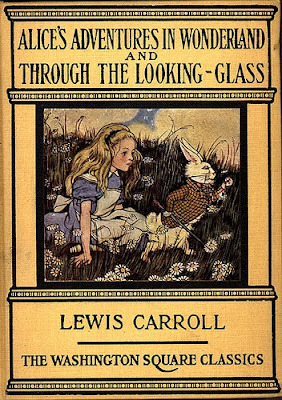 Anda sedang membaca artikel The Evolution of Alice in Wonderland: A Book Cover Odyssey. 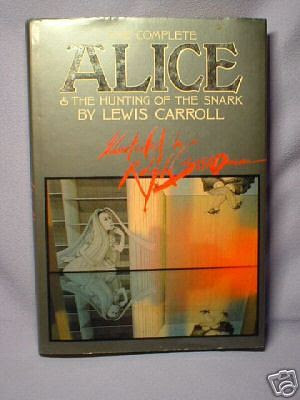 Artikel ini dapat ditemukan dengan url http://alicewonderlandstories.blogspot.com/2011/02/evolution-of-alice-in-wonderland-book.html. 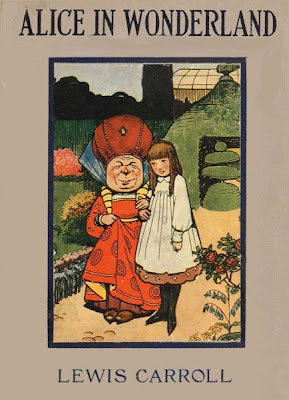 Anda boleh menyebarluaskan atau mengcopy artikel-artikel di alice in wonderland ini jika memang bermanfaat bagi bagi orang lain, tapi jangan lupa untuk mencantumkan link sumbernya... terima kasih ! Jangan lupa klik tombol facebook LIKE di bawah ini ya.